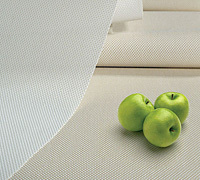 Energy Efficient and Eco Friendly Roller Shades take your Window Coverings to the Next Level! There is a lot of variation when it comes to how friendly a roller shade backing really is on the environment. Don’t just take a distributors word for it, do the research, ask questions, and learn how you can greatly reduce energy costs with an advanced window covering. Saving money and the environment is one of the hottest window treatment trends of 2014. If chosen correctly, roller shades can be up to 50% more energy efficient than a standard roller shade. Data shows that within three years the cost will have paid for itself, if the right product has been installed. 3 Blind Mice Window Coverings introduce to you the Mariak Ultimate Achievement Roller Shade which uses a high performance material to be energy efficient and eco friendly. The new metalized backing does not rub off when touched and the installation of this superior window shade material boasts an increase of up to 50% heat reduction from other silver backed and traditional roller shades. Made of PVC-free material this window covering is not only going to reduce energy costs but is also eco-friendly. This high performance window covering material comes in many different colors and can be used on manual or motorized roller shades. The glare reduction provided by this advanced material reduces eye strain and can increase employee productivity. This scratch resistant material can be screen printed with your custom color, company logo, or unique design for your business. Not all energy efficient window coverings are created equal. Download our Free Guide to Energy Efficient Window Treatments for more detailed information. Energy efficient window coverings can save you money, contact us to discover how!